I mentioned in my post about the 2007 Mazda CX-7 that it was a platform-mate with the Ford Edge and Lincoln Aviator crossovers. 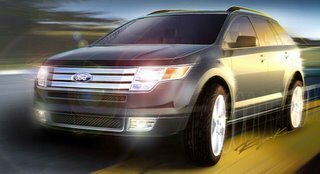 If you check out the older post about what is coming from Ford, you can see the preview photo Lincoln released of the Aviator. 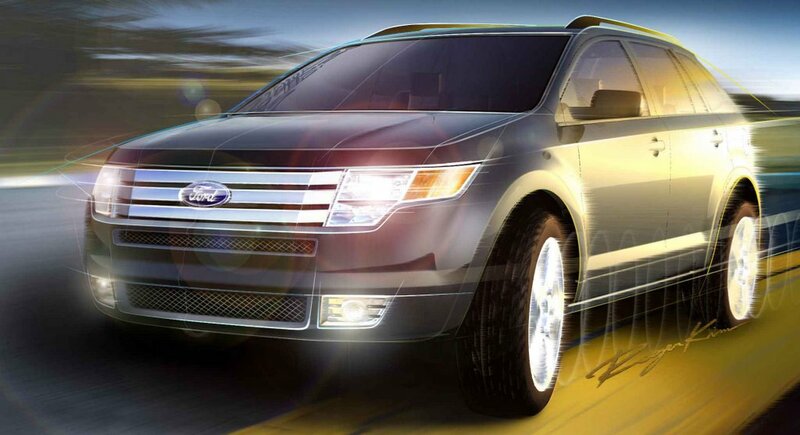 However, a few days ago, Ford released a sketch of the Ford Edge. Combining a little of the boxiness of the Ford Fairlane concept from last year's NAIAS with a big dose of Ford Fusion. Looks like a pretty nice take on the new Ford corporate face. I'm still hoping that Ford sticks with this look longer than they typically do...ahem, remember 'New Edge' that showed up on the Focus and Mercury Cougar but little else (in the North American market, at least).